As Chinese everywhere were celebrating the first couple of days of the Year of Dragon on January 23rd and 24th, 2012. Chinese police fired indiscriminately on hundreds of Tibetans who had gathered peacefully to claim their basic rights in Drakgo, Serthar, Ngaba, Gyarong, and other neighboring Tibetan areas. Six Tibetans were reportedly killed and around sixty injured, some critically. Because of gruesome acts such as these and the systematic repression of Tibetans, the resentment and anger amongst Tibetans against Chinese government has only grown since the massive uprising of 2008. Ever since the invasion of Tibet, the Chinese government has claimed that it seeks to create a socialist paradise. However, basic human rights are being denied to Tibetans, the fragile environment is being destroyed, Tibetan language and culture is being assimilated, portraits of His Holiness the Dalai Lama are banned, and Tibetans are being economically marginalized. Tibet is in virtual lockdown. Foreigners have been barred from travelling to Tibet now and the entire region is essentially under undeclared martial law. 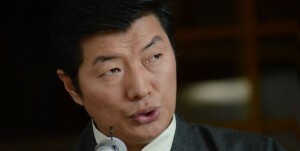 I urge the Chinese leadership to heed the cries of the Tibetan protestors and those who have committed self-immolation. You will never address the genuine grievances of Tibetans and restore stability in Tibet through violence and killing. The only way to resolve the Tibet issue and bring about lasting peace is by respecting the rights of the Tibetan people and through dialogue. As someone deeply committed to peaceful dialogue, the use of violence against Tibetans is unacceptable and must be strongly condemned by all people in China and around the world. I call on the international community to show solidarity and to raise your voices in support of the fundamental rights of the Tibetan people at this critical time. I request that the international community and the United Nations send a fact-finding delegation to Tibet and that the world media be given access to the region as well. The leaders in Beijing must know that killing its own “family members” is in clear violation of international and Chinese laws, and such actions will cast further doubts on China’s moral legitimacy and their standing in world affairs. I want to tell my dear brothers and sisters inside Tibet that we hear your cries loud and clear. We urge you not to despair and refrain from extreme measures. We feel your pain and will not allow the sacrifices you have made go in vain. You all are in our heart and prayers each and every day. To my fellow Tibetans, I request you not to celebrate Losar (Tibetan New Year), which falls on February 22 this year. However, please observe the basic customary religious rituals such as burning incense, going to temple and making traditional offerings. To demonstrate our solidarity with Tibetans in Tibet, I urge Tibetans and our friends around the world, to participate in a worldwide vigil on Wednesday, February 8, 2012. Let’s send a loud and clear message to the Chinese government that violence and killing of innocent Tibetans is unacceptable! I request everyone to conduct these vigils peacefully, in accordance with the laws of your country, and with dignity.